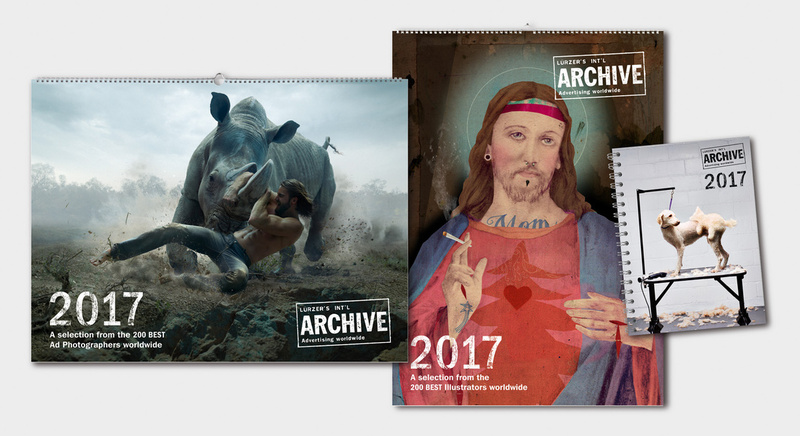 Michael Weinzettl previews the three different Lürzer's Archive calendars for 2017. For a couple of years now we have been publishing calendars as Christmas presents for our associates and clients, but which are also available for sale, either through our website or Amazon. This year, however, we have exceeded ourselves and came up not with just one calendar – the kind you put on your desk, but three different ones. The desk calendar is still there except that for the year 2017 is twice the size of last year’s and now measuring 18,0 x 24,5 in centimeters or 7.09 x 11,22 in inches. It will be numbering 60 pages, its images taken from across the whole range of our publications. 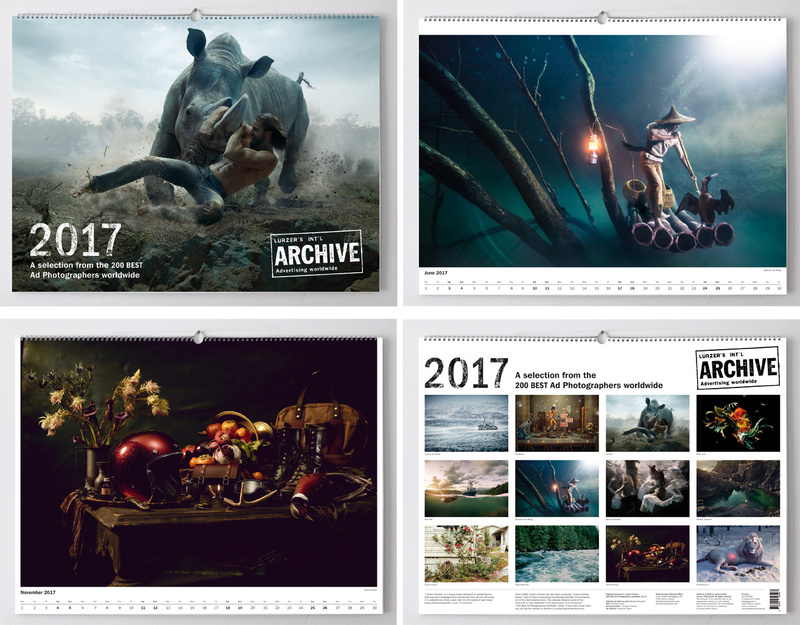 In addition to this – and for the very first time – we are offering large-format monthly calendars with one image per month, i.e. the kind you hang on the wall. You can choose between Illustration and Photography (Measurements are: 66cm x 49.5cm for the Photography one and 48.5cm x 67cm for Illustration). To be honest, although these are all motifs I have at some point selected for publication in our books, I am thrilled to see them in a much larger format. I have no idea why the folks on our team thought we needed two calendars (instead of, say, one that mixes both crafts) but that obviously gives you more choice – and why not indeed? And, once again, I was veritably bowled over by the beauty and excellence of the images assembled in this calendar. Stripped of their original context, i.e. the print campaigns from which they were taken, or the wider work of a photographer or illustrator – each published in our titles over the past two years. When viewed entirely on their own terms, these images made me develop an even keener appreciation of the remarkable degree of craft and imagination that went into them. Each of the calendars will be sold at a price of 19.20 euros. They will become available through Amazon – or in our Shop on this website, which leads you on to Amazon – at the end of this month. If you want to pre-order you can email orders@luerzersarchive.com. So, if you’re looking for a suitable Christmas gift for friends or acquaintances with a penchant for fantastic imagery from current advertising/graphic design, I guess there’s no need to look any further.